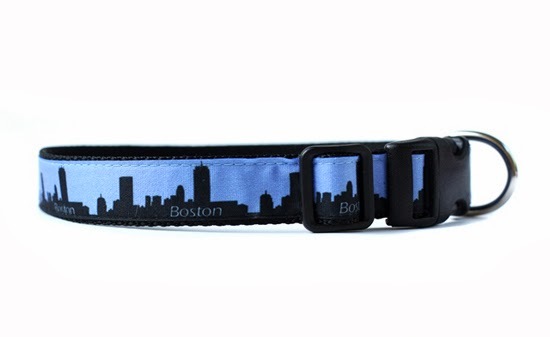 You know your pup wants to show how much they love Boston too! Lush parks, plenty of dog friendly establishments, and plenty of great trails to check out – there is a lot to love about Boston. The Boston skyline silhouette contrasts against pink or blue. This is one of Cody's Creations exclusive collars that debuted this year. 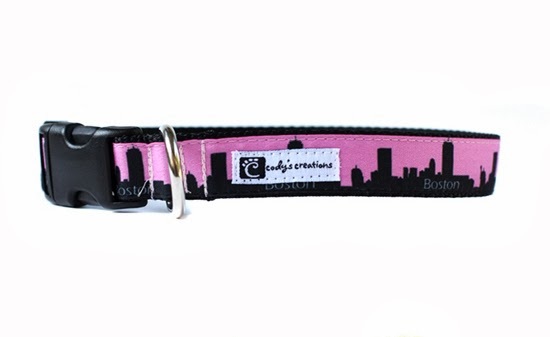 The Boston Collar is available online, and a portion of every Boston Collar will be donated to the One Fund.